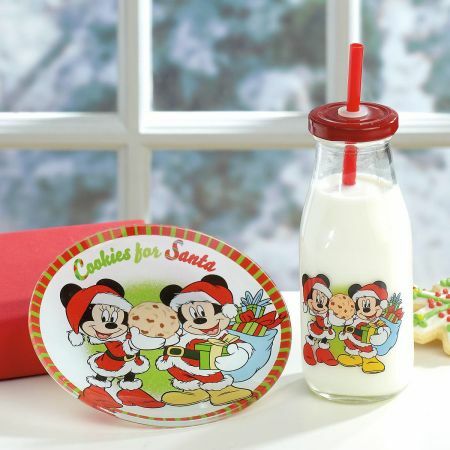 Mickey and Minnie's 6"-diameter glass plate and 11-oz. milk bottle hold all the cookies and milk Santa needs. He'll be thrilled! Microwave safe; hand wash.